Last winter Adam and I spent a dreamy winter weekend in Woodstock, Vermont at an inn across the street from Farmhouse Pottery. I was so excited to visit Farmhouse Pottery’s shop because I’d seen several of their beautiful ceramics at a food photography workshop earlier that year and was secretly hoping to buy some. On that trip to Vermont I ended up buying one of their silo espresso cups and to this day it is my favorite espresso cup! It fits my morning machiatto perfectly and it looks beautiful on top of our Rancilio espresso machine. 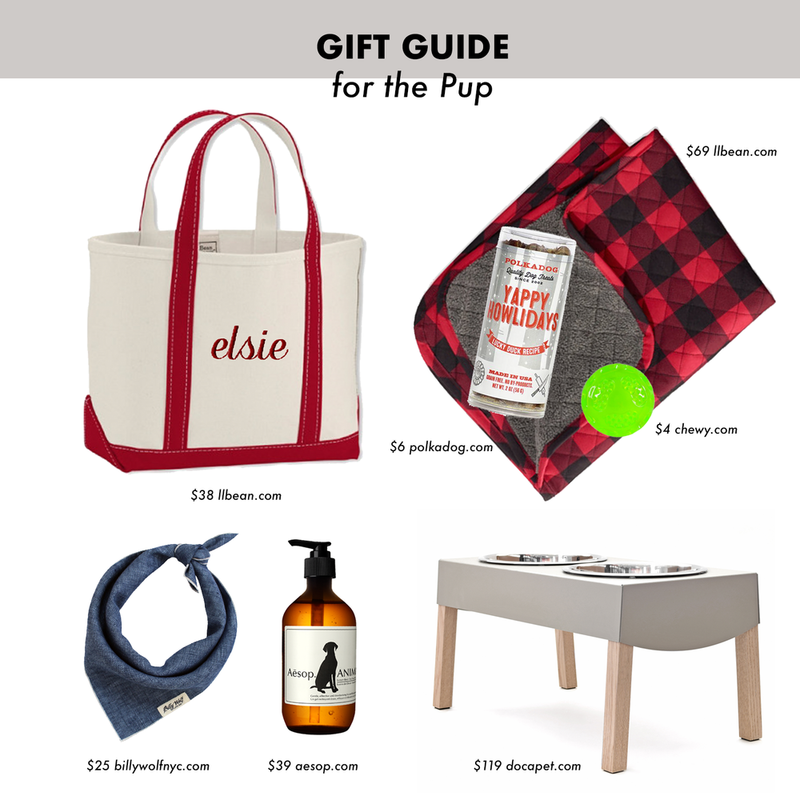 After last week’s gift guide for pets, I knew that I wanted to do a gift guide for the espresso lover because it’s where you’ll find us each and every morning, at our espresso machine. My love for coffee goes back to my college days when I worked as a barista at Starbucks. This was wayyyy back when Starbucks baristas actually pulled shots of espresso. (not the weird pucks that they dispense now) Back then, every new employee was required to take a two-day course on the art of coffee before starting in the cafe. I'll never forget sitting in that tiny room in Central Square so happy to be paid $12 an hour to learn about coffee! Fast forward to when I moved to Portland, Oregon in 2005 and I quickly became obsessed with a whole new kind of small-batch hipster coffee. You know, the kind of coffee that surly baristas served while secretly thinking you weren't cool enough to drink their expertly made cup of coffee. The kind of coffee that took forever to make and you'd better be fine waiting in line with everyone else for one. Fast forward yet again to when Adam and I moved from Portland in 2008 to Boston. Much has changed since 2008 and Boston has better coffee options, but in those days we found that we'd have to make our own espresso drinks to survive on the east coast. That's a quick recap of our coffee journey but let's get back to the gift guide! I included our entire home espresso setup in this gift guide but we certainly didn’t buy it all at once. It’s grown over the years as we’ve learned more about coffee and espresso and I’m pretty sure that our espresso machine is on loan from Adam’s older brother. If you’re looking for gifts for the absolute coffee snob, you just might find something for them here. Also, be sure to swing by my Instagram for a Farmhouse Pottery giveaway! They’re giving away two of their gorgeous silo espresso mugs so head over to my insta for the details of how to win! 1. Espresso Machine We've had this espresso machine for almost ten years and it's hard to imagine our morning routine without it! When we moved to Boston in 2008 from Portland, Oregon we missed having really good espresso, so we decided to turn our house into a mini coffee shop. 2. CoffeeTamper Adam is the coffee expert in our house but this tamper was on his Christmas list a few years ago and it's been in use ever since. 4. Professional Barista’s Guide This book taught us a lot about how to make professional tasting espresso at home. It's a serious guide for the serious coffee drinker. 7. Grindz grinder cleaner - Adam's a stickler about keeping our equipment clean and if you're going to invest in a professional grinder, you may as well maintain it. Plus, the cleanliness affects the taste. 8. Cafiza espresso machine cleaner - Same story as above but this one is for the espresso machine. 9. OCD Coffee distribution tool Just when I thought our setup couldn't get more ridiculous, Adam gets this. I have to say, it's help me pull better shots. 10. Grinder A good grinder is essential to your home coffee setup and this grinder is professional enough to handle any/all of your grind needs. Do you have any coffee/espresso lovers on your holidays lists? Don't forget to enter the Farmhouse Pottery giveaway over on Instagram! monogrammed tote bag for weekend getaways. I've always wanted to get a monogrammed LL bean bag for Elsie with her name on it. Something to lug her food, food bowls and toys in when we travel. buffalo plaid blanket to plop down at Grandma’s house so you don’t get her couch dirty. duck dog treats from local Polka Dog Bakery. Elsie is always in training and treats are her favorite reward for good behavior. ball. Elsie is crazy about this ball. If your dog likes to play fetch or chase a ball, this ball is guaranteed to entertain! I buy them 3 at a time because somehow we manage to lose them. Her stocking will be full of them. bandana because we all want our pups to look super cute. These bandanas are a must for your hipster dog. mild fur wash made of lemon rind, tea tree leaf and spearmint leaf for your pampered pup. I mean, your dog needs aesop shampoo! modern dog bowl stand by Doca Pet. Not only is it made in the USA, but it looks great and comes with two stainless bowls, one for food, the other for water. We've had ours for years and love it. 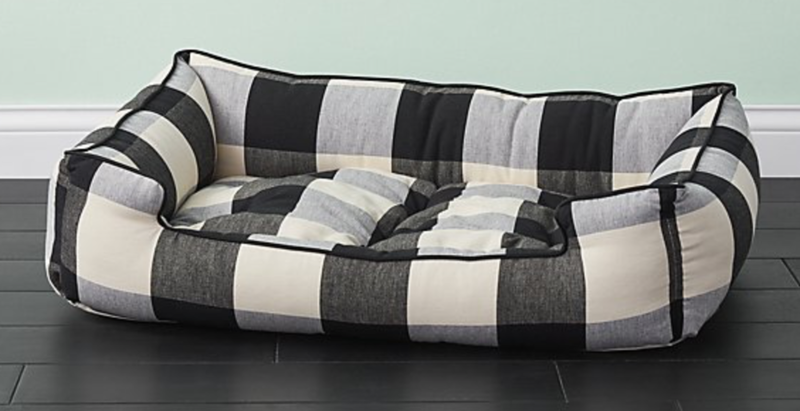 dog bed that won’t cramp your style. Will you be shopping for your pet this holiday season? What kinds of gifts do you normally give your pet?